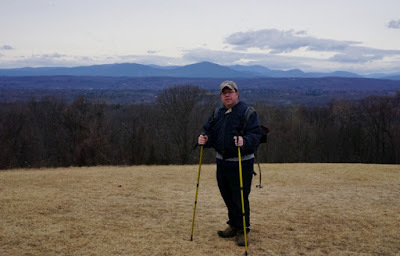 I had been to Bonticou back in December, and realized back then that I have to make a trip in the future to cover some additional trails in the area. This trip was the one where I covered those other trails. 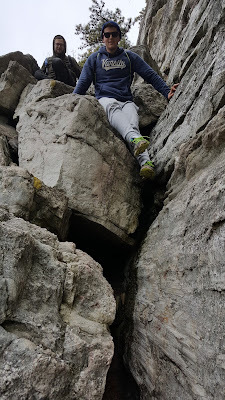 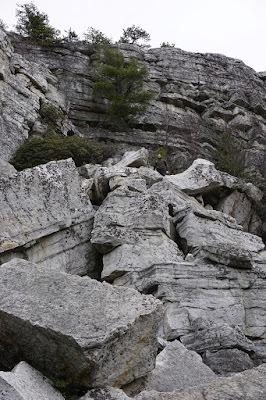 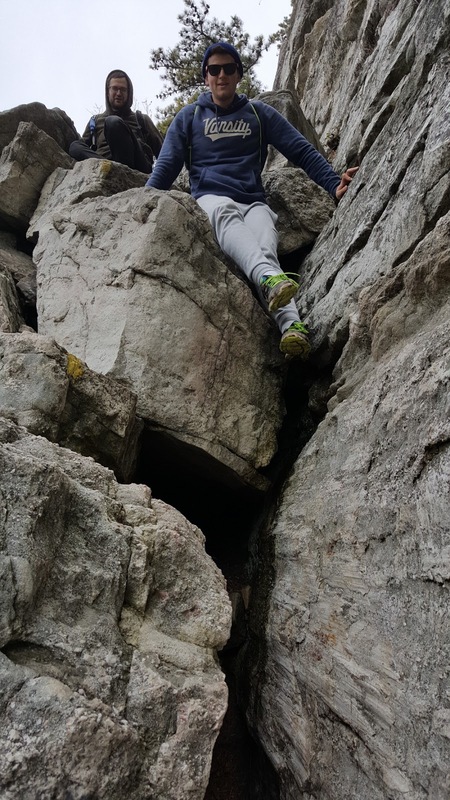 As mentioned in my previous post, Bontincou Crag is an impressive rock cliff with a great scramble through the talus with exceptional views all around. We parked in the Spring Farm parking area, and headed over to explore the Spring Farm. 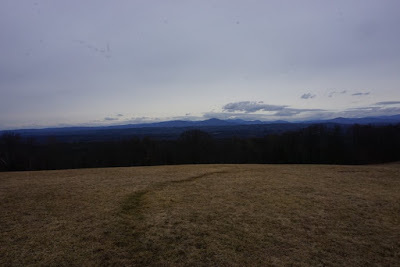 It looks like there is nothing that goes on here at this farmhouse, but that could be just because it was still winter. 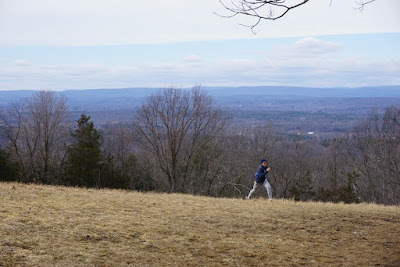 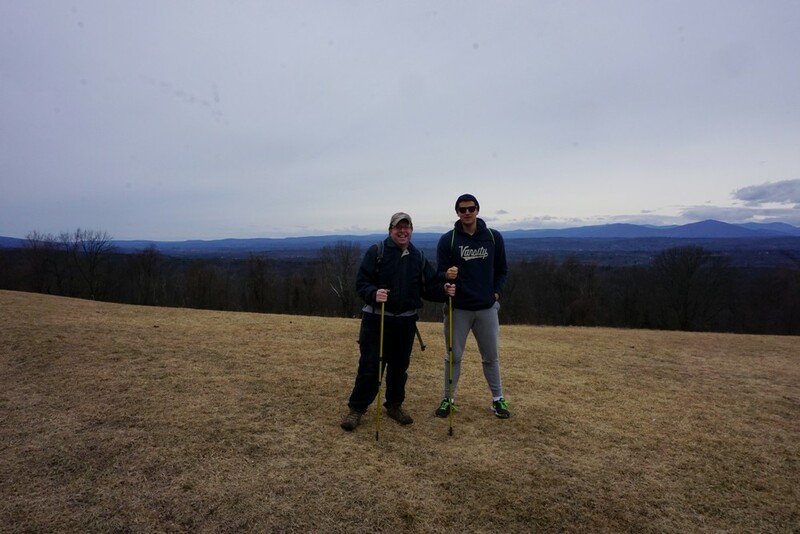 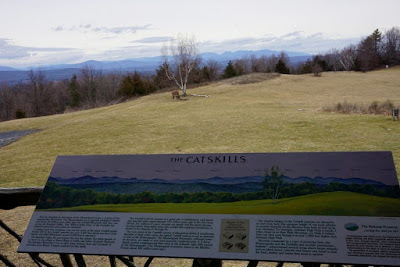 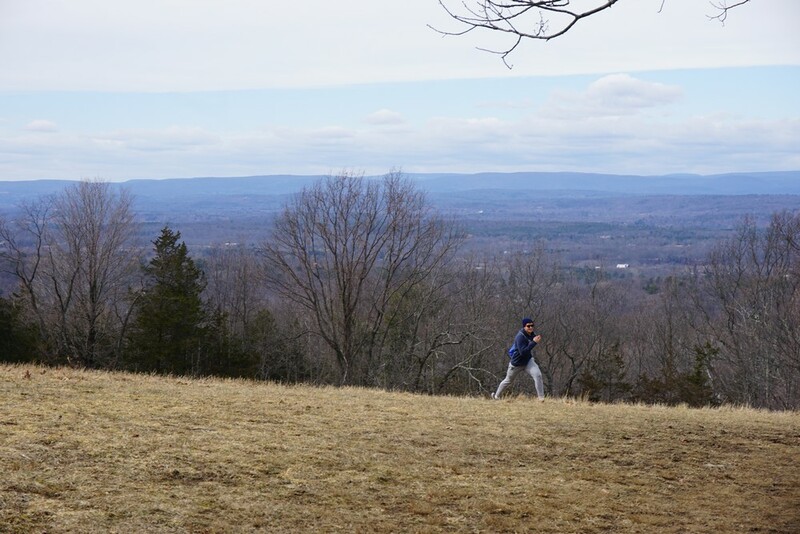 We walked up the hill to the gazebo by the million dollar view, where there is a nice plaque explaing the Catskills. 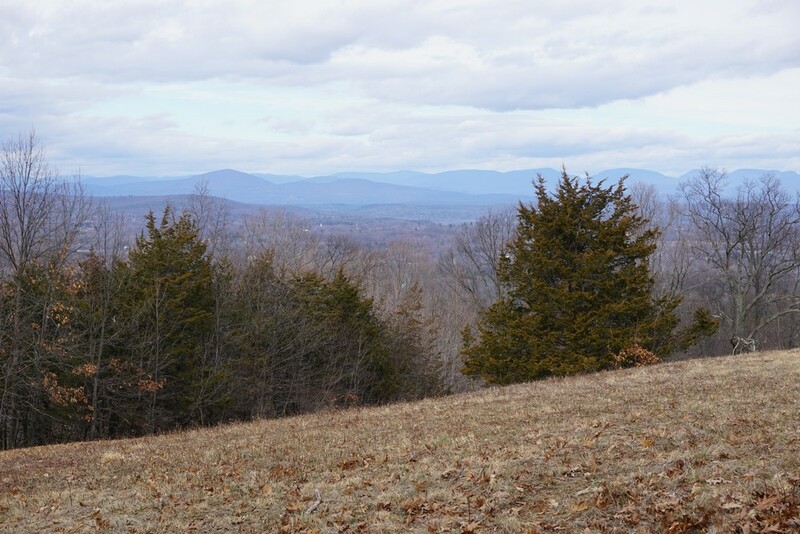 Right after the gazebo, the Cedar Trail can be picked, which crisscrosses together with the bike path in some points. 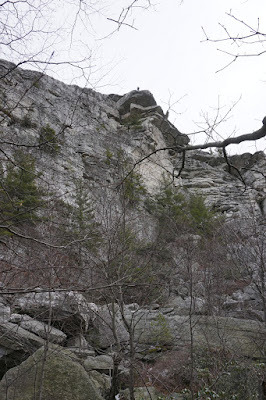 We took the Cedar Trail until the end, going up the rocky ascent at the end of the trail. We then too the Bontincu Ascent Trail , which goes along the thin ridgeline of Bonticou until it reaches the fabulous full rock exposure and view at Bontincu Crag. 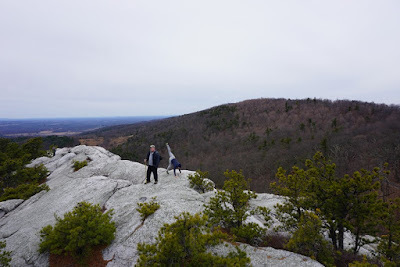 We spent some here taking some good pictures, and headed down the steep and difficult Bonticou Ascent path down the mountain. 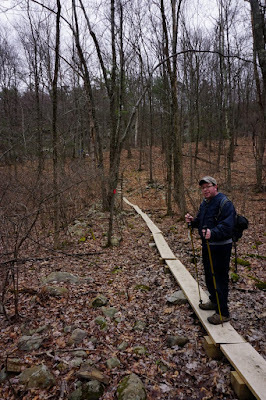 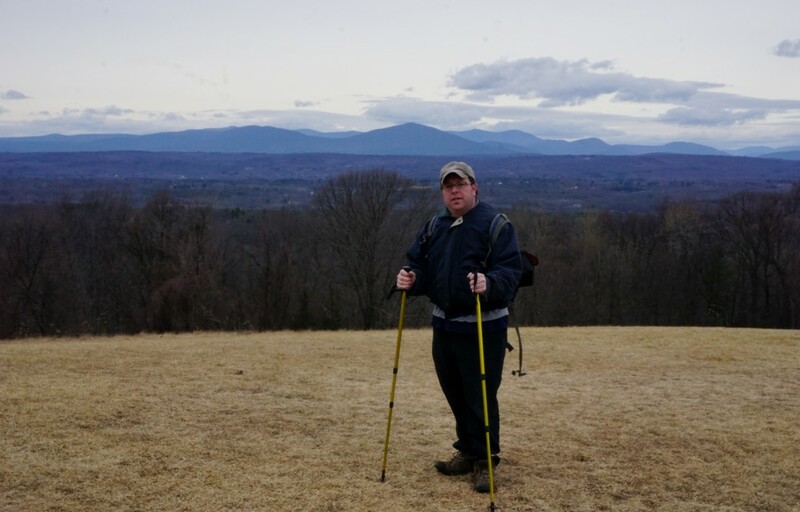 We then took the Northeast Trail, well, southwest until the Bonticou Path. We then took the Bonticou Path back to our cars at the trailhead. 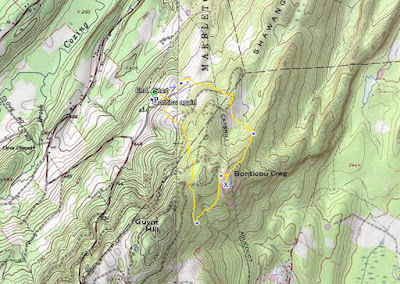 Map of the Route. 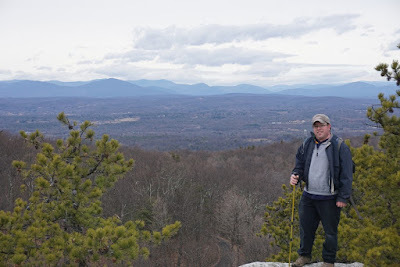 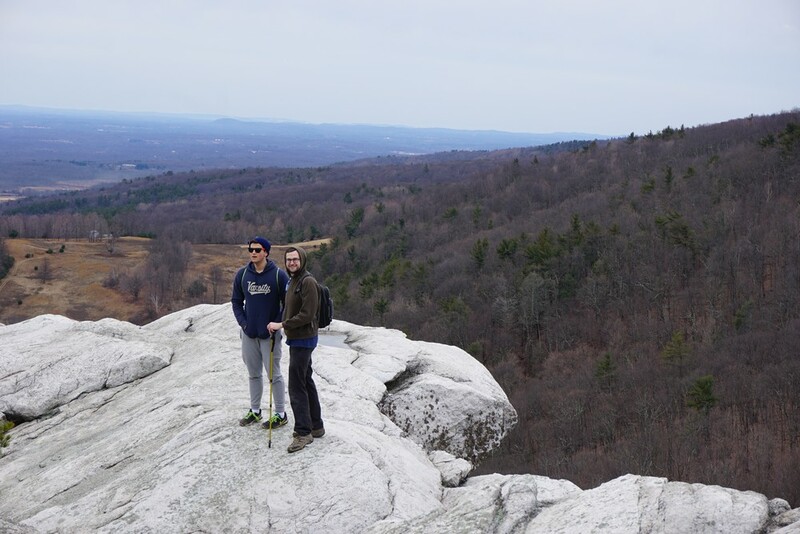 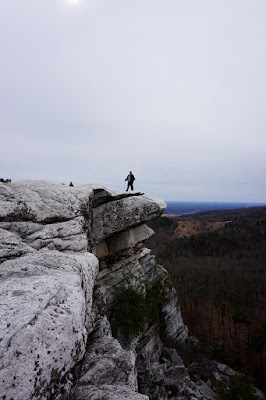 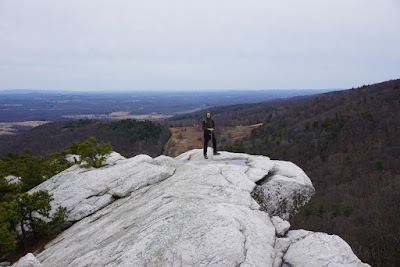 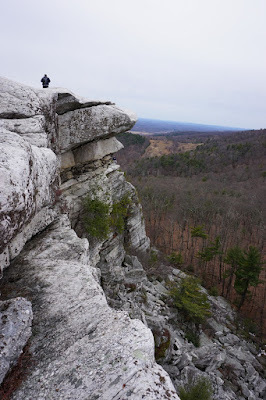 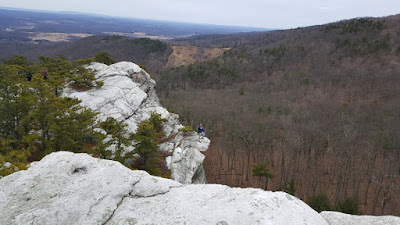 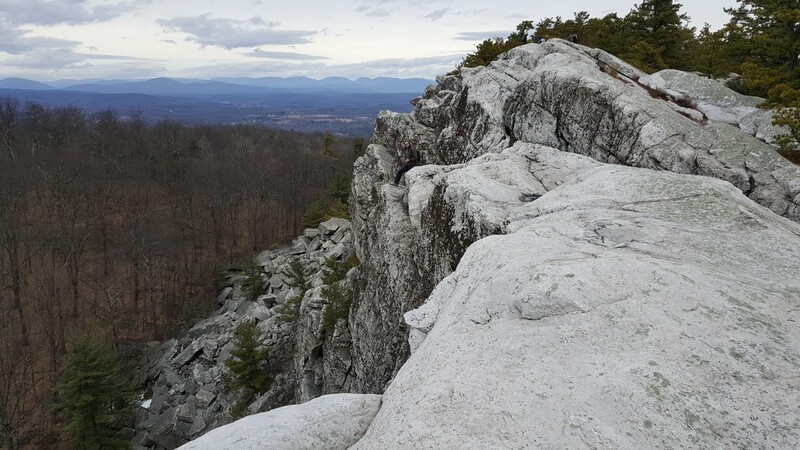 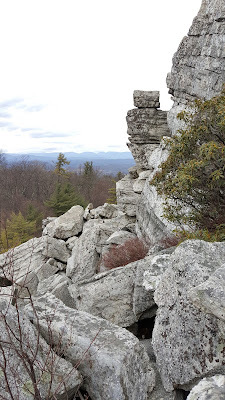 Shawangunk Trails Mohonk Preserve.